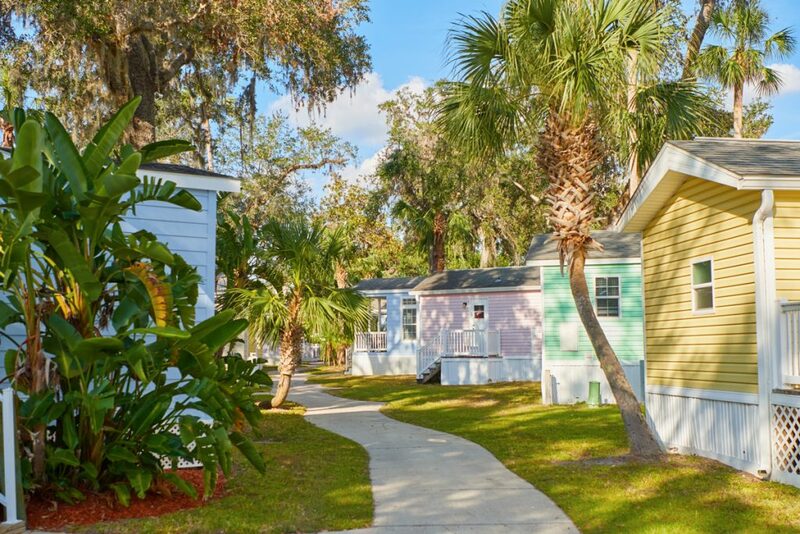 You’re bound to have an unforgettable resort experience when you stay in one of the colorful cottages at Tropical Palms. These bright colored cottages boast Instagram-worthy hues, inside and out all year round. 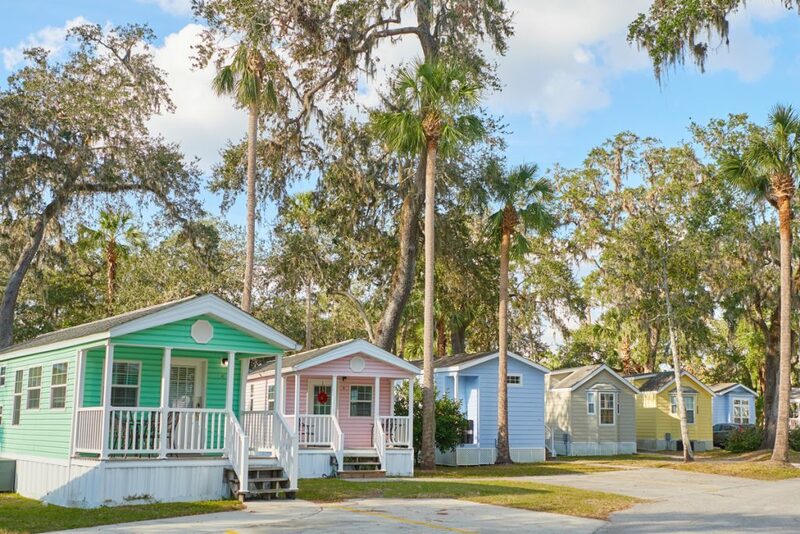 With easy access to the beach, amusement parks, and all kinds of activities, you’ll find that your colorful cottage is the perfect retreat for a siesta in style. The palm-tree lined streets of Tropical Palms greet you around every corner and the Florida sunshine generously warms the guests of this tropical paradise in Kissimmee. There is plenty to do nearby! Whether you spend your days sunning and surfing at Daytona Beach or stroll down the brick-lined streets of Old Town, where there are plenty of shops and restaurants and family-friendly activities at every turn, you’re sure to fill your days with a plethora of fun. Tropical Palms is just a short distance from all the major theme parks like Disney World, Universal Theme Parks, and Sea World. Though close to the heart of Orlando, Tropical Palms boasts its own special activities and features- watch a classic movie from the pool at the “dive-in movie,” learn a new dance or perfect your steps at our on-site dance classes, gather your team for a shuffleboard tournament, or impress your friends with your best recipe at a potluck. 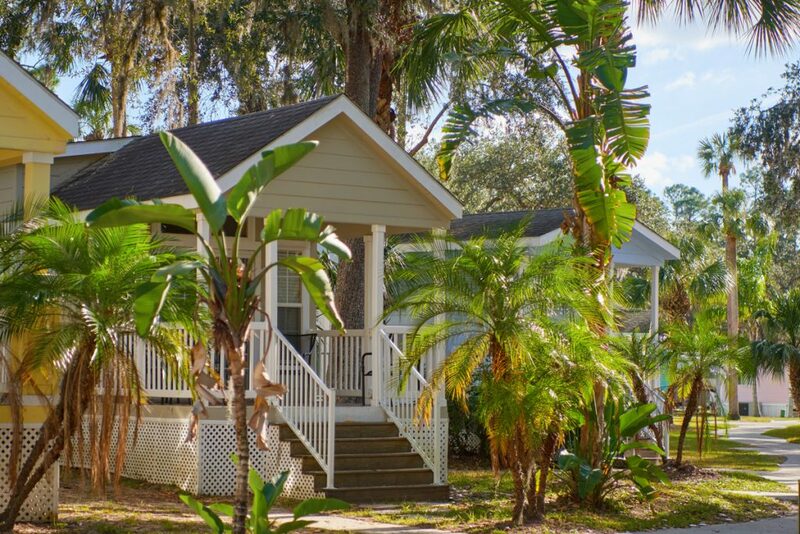 You’ll see that Tropical Palms is the perfect home base for your Orlando vacation! Make your next vacation unforgettably colorful and sunny – book a reservation at Tropical Palms today!